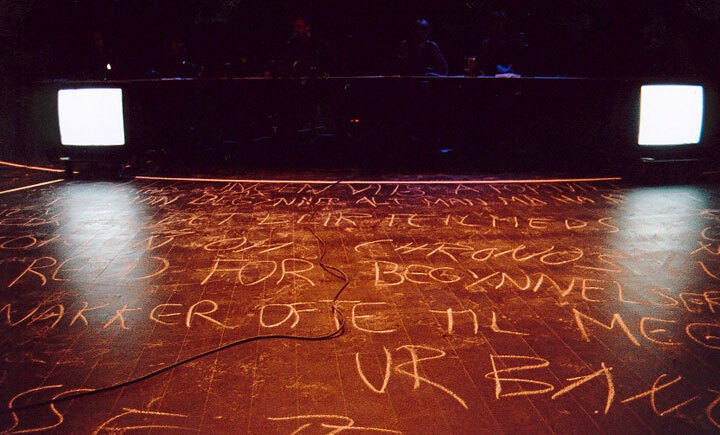 Presto legato had its premiere at the Meteor festival in Bergen, in October 2003 and was co-produced by BIT Teatergarasjen. 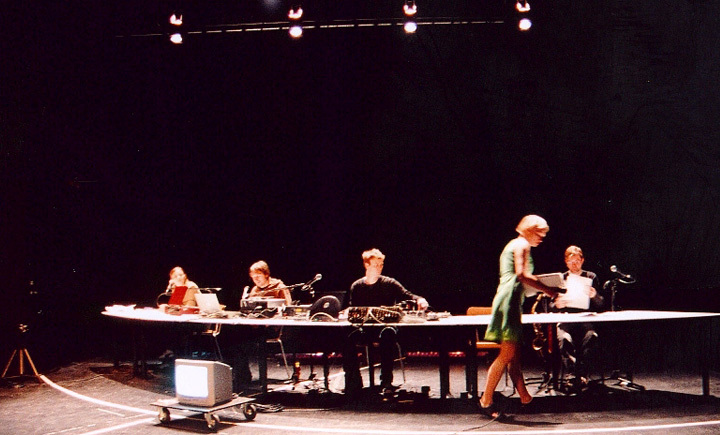 It was performed at Black Box Teater, Oslo in April and at the festival Diskurs04, Giessen in Germany in October 2004. The text is written by philosopher Rune Salomonsen, writer Fanny Holmin and Lise Risom Olsen. The text is adapted and put together by NONcompany. The music is made by Kjetil Bjøreid Aabø (electronics) and Øyvind Rødset (saxophone). …There is a time, which always walks by our side tempting us. The unmistakable time of “what if”, the sentimentally seductive time of what-if-I-had-done-that-instead. It is the time’s continuation in all parallel universes, created as dream-exits for everything we should have done or done otherwise. Out of which we create impossible possibilities, comforting and dreaming ourselves astray. It casts a veil over us, making us believe that everything is better in another place, another time, and another setting…. Presto legato is a performance about time, about trying to get a grip on our own generation and the time we live in. How are we supposed to be living? Can we fill the expectations? This is a performance for the new grown-up generation and the generation they are taking over for. The text consists of fragments of observations, memories, thoughts and ideas from a generation on the verge of taking the place of our parents. Through text, music, and visual effects the company tries to look a few steps back and some forward in an attempt to figure out where we are. 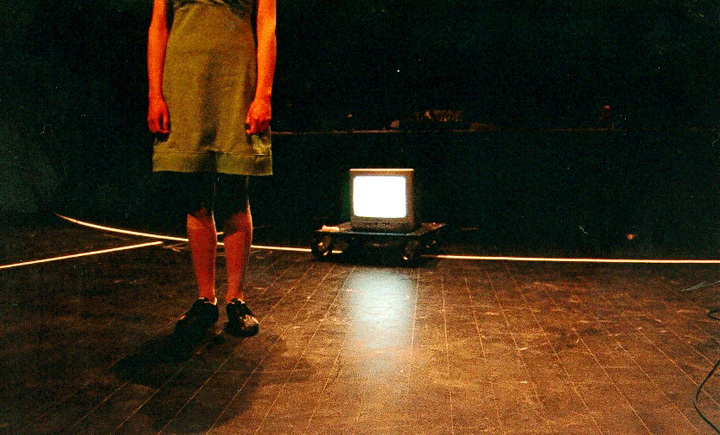 The performance is a mixture between lecture, TV show, concert, reflection, information, humour and melancholy. There will always be different ways of understanding and experiencing time. NONcompany has gathered some of theirs in this performance. The performance is supported by The City Council of Bergen, department of Art and Culture and Arts Council Norway.